H.O.P.E. has been proudly delivering mental health peer support and employment services in Brant County for over 20 years. Social worker hired as project manager. Psychosocial rehabilitation focused training & work-related life skills provided. Long-term employment at minimum wage. Funding received – 2 consumer assistant managers hired. Advisory Committee established (management, consumers & members of business community) meeting monthly. Brantford Vocational Training Association incorporated (BVTA). Quick Bite business divested from CMHA to BVTA. Independent Board of Directors established – consumers play a more directive role. Business included catering and restaurant sales employing 18 to 20 consumers. Brant Mainstream Mental Health Wellness Network established. ‘Kindred Spirits’ peer support group organized and ran for one year. Program Manager becomes OPDI certified peer support trainer. 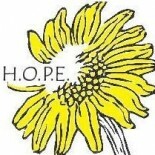 2011 Name officially change to H.O.P.E. 2013 Strategic planning process sets 5 year direction. 2015 Started “After Hours” Saturday afternoon peer support Drop-In at Phoenix Place.